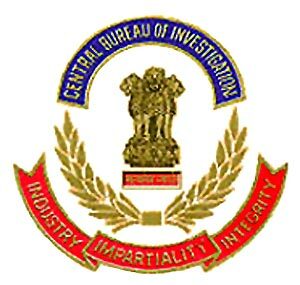 New Delhi, Mar 26 : Unabated leakage of development funds in the North-east has led the Centre to create a post of Joint Director in the Central Bureau of Investigation (CBI) exclusively for the North-east, while the Central Vigilance Commission is toying with a proposal to set up a separate wing for the region. The measures are part of the fresh Central initiatives for putting in place a monitoring mechanism to prevent misuse of Central funds. The Department of Personnel and Training (DoPT) under the Prime Minister’s Office (PMO) has taken up the proposal for creation of post of Joint Director in CBI exclusively for north-eastern region and the Cabinet had considered the proposal and cleared it. The DoPT has intimated that a post of JD in the CBI has since been created and the posting of an officer is under way. In its report to the Parliament, the Standing Committee attached to the Ministry of DoNER has said that it has noted with satisfaction that matter of creation of a separate wing of CVC for the North-east is under examination. The Parliamentary Panel has recommended that early action may be taken in this regard. The Ministry of DoNER has reported in its Action Taken Report that the DoPT has intimated that the matter regarding creation of a separate wing of CVC exclusively for the North-east has again been referred to the Central Vigilance Commission for latest development. In 2010, the Centre had informed the Parliament that the CVC had detected irregularities in three of the five cases of alleged corruption. According to the CVC, they have dealt with five cases of alleged corruption, pertaining to the Ministry of DoNER during 2007-2009. With huge sums of Central funds being pumped into the North-east, the Centre has trained its focus on monitoring and curbing leakages of funds. The unearthing of the Rs 1,000-crore scam in Dima Hasao district, which was probed by the NIA and CBI separately and reports of development funds reaching the hands of the underground outfits, particularly in the insurgency-affected States of the region, have alarmed Centre. The Ministry DoNER has said that monitoring mechanism in place in the North Eastern Council (NEC) would be instrumental in achieving the financial and physical targets without any procrastination.